Help save a life. 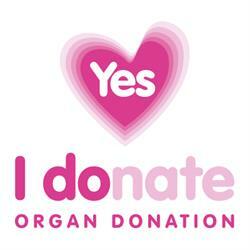 Join the Organ Donor Register. Already carry a card? Carrying the card is a great start, but to be a registered organ donor you need to join the NHS Organ Donor Register. Today, more than 9,000 people in the UK need an organ transplant that could save or dramatically improve their life. Most are waiting for a kidney, others for a heart, lung or liver transplant. But less than 3,000 transplants are carried out each year. Transplants are one of the most miraculous achievements of modern medicine. But they depend entirely on the generosity of donors and their families who are willing to make this life-saving gift to others. There is a desperate need for more donors. Last year more than 400 people died while waiting for a transplant. One in ten people waiting for a heart transplant will die and many others will lose their lives before they even get on to the waiting list. The more people who pledge to donate their organs after their death, the more people stand to benefit. By choosing to join the NHS Organ Donor Register you could help make sure life goes on. You can sign up to the NHS Organ Donor Register online or by calling the NHS Organ Donor Line: 0300 123 23 23. Lines are open 24 hours, 365 days a year. Calls are charged at your contracted rate for local calls. Find out about blood, tissue and bone marrow donation on NHS Blood and Transplant. Dying Matters Week 2017 took place between 8-14 May. Many services in the Trust got involved to raise awareness of dying, death and bereavement – including raising issues surrounding organ and tissue donation. This insightful short clip, features Noreen Hawkshaw, Lead Nurse for Cancer and End of Life Care at the Trust, and introduces a series of other short videos relevant to the topic. The collection of videos can be found by clicking here.